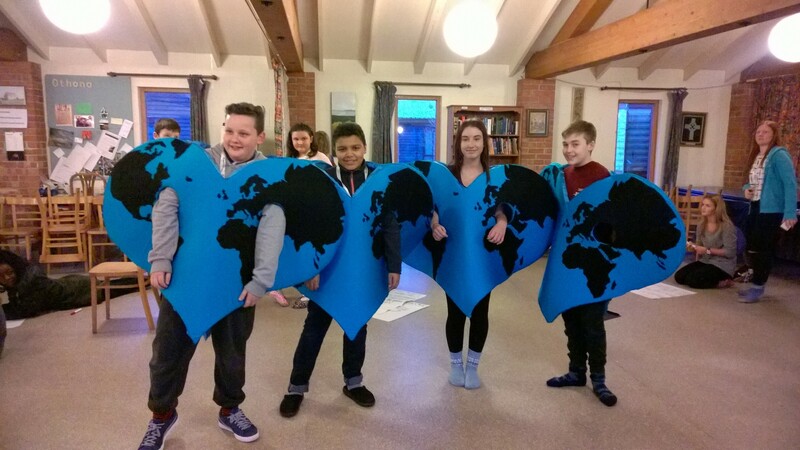 Introducing our new CAFOD young climate bloggers! Some of CAFOD’s new young climate bloggers! On this trip, we were able to skype Mowdudur, one of CAFOD’s partners from Bangladesh. We asked him many questions from “how can we help?” to “how often does it flood?” He told us that a changing climate is making cyclones and floods more frequent and intense. In case you are unsure a cyclone is something like a cross between a hurricane and a tornado, and it moves water! The main question was “how can we help?” Mowdudur said that they need many more cyclone shelters, the people need to be protected and they need immediate response. CAFOD have taken this in, but we need your support to achieve this goal. We are responsible for the future. Watch our new animation to explore climate issues and find out how you can help. People of the world, this week has been a phenomenal success, full of inspiration and motivation to make a change in today’s world. It has provided thoughts of how to unite the world together. Upon our arrival the inspiration struck us. Seeing the solar panels and wind turbines at Orthona showed how easy it is to make a change. We realised that people do not only suffer from poverty, but a bigger issue which is natural disasters, which can make poverty worse. Send a message to UK party leaders to make sure they know how much you care about climate change. 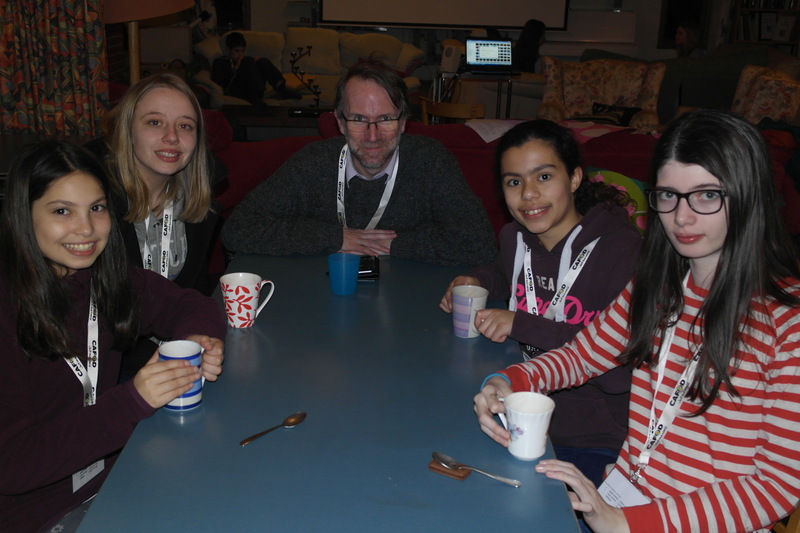 Keep up to date with the young climate bloggers throughout 2015. Thanks for your support, it was really important and useful for the young people to hear first hand of your experience. from, the CAFOD Youth Team. Hi Lola, Thanks for your message. We have added your blog link to the webpage now https://cafod.org.uk/Education/Young-people/Young-climate-bloggers thanks for asking us to do this. It was great to see your blog and what you’re doing for Lent, and also encouraging others to get involved too. From, the CAFOD Youth Team. We are inspired by reading the blogs written by the young children talking about climate change by listening and hearing without facing the impacts. With the knowledge the young children, the next generation will easily be able to tackle the changed climate. We has such a great time, thank you for letting us be part of your campaign! Thanks for your message Fishermore! We’re pleased you had a great time at the launch. We’re enjoying working with you and are really looking forward to reading more of your climate blogs. From the CAFOD Youth Team. Thank you for letting us take part in such an amazing opportunity. However, one of the St Robert blogs are not available on the website. The link to the other one is theenvironmentmatters.wordpress.com by the cafodclimatebloggers. We appreciate and thank CAFOD via Skype interview and establishing links with young children, future generation who are concerned with climate change especially with Bangladesh. Because Bangladesh is a high risk country to climate change caused by sea level rise and millions of coastal communities are vulnerable to inundation and migration. Again CAFOD is working with Sundarbans Resource Dependent Community who are the front lines of Climate Change impacts because they faces storm surge, cyclones. CAFOD is supporting in adopting Climate resilient livelihood such as salt tolerant rice, vegetable, crop cultivation with the formation of groups and association. Boat Licence Certificate (BLC) for the poor beneficiaries became an example for Sundarbans stakeholders. I would like to thank and congratulate the young children for their realization and create blogs stating about the need for cyclone shelters. Water reservoir, tank and rain water harvesting system are also immediate need that I forgot to mention. Tiger-human conflict is also a concern for Sundarbans communities and it is happening due to frequent cyclones caused by climate change. Habitat of tiger in Sundarbans mangrove forest also is increasing trends. We also need to support the school children with education materials to the tiger affected families. 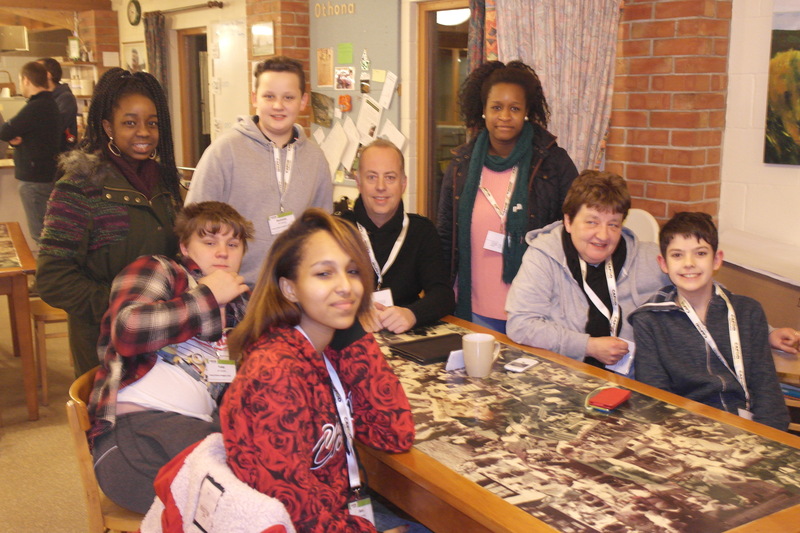 Thanks CAFOD for making case studies. Many thanks for your comment Mowdud, we know the young climate bloggers really enjoying meeting you via Skype and learned a lot from you. We are looking forward to reading their blogs about climate this year. Very best wishes, the CAFOD Youth Team.